Sporting rivalries are all the rage right now among Hollywood studios, with the likes of Battle of the Sexes, HBO’s Proof and the Will Ferrell-fronted comedy Match Maker all incubating in development. But news has surfaced from Cannes of a new challenger entering the fray: Borg/McEnroe. 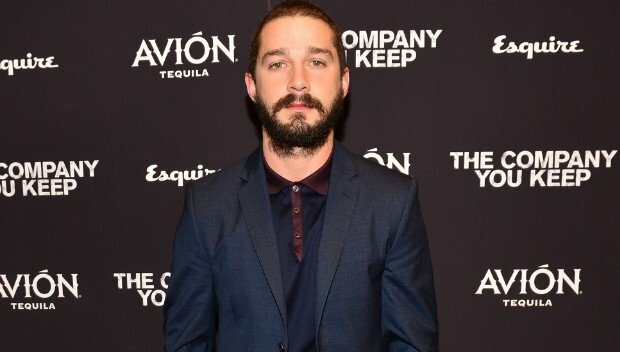 Chronicling the legendary tennis rivalry between John McEnroe and the illustrious Bjorn Borg, The Hollywood Reporter reveals that Fury star Shia LaBeouf has closed a deal for the role of McEnroe, a sporting icon who made no bones about his unhinged temperament. Swedish actor Sverrir Gudnason, meanwhile, is on board to play Borg. All throughout the 1970s and ’80s, Borg and McEnroe’s volatile rivalry enthralled the tennis world, as the two sportsmen competed for supremacy both on and off the court. During that time, the pair clashed a total of 14 times – including what are arguably two of the greatest Wimbledon finals to ever grace centre court in 1980 and 1981 – winning seven games a piece. That heated competition was made all the more interesting thanks to Borg and McEnroe’s disparate personalities; on one hand, the former was a cool, calm and collected sportsman that wowed tennis fans with ease, while McEnroe developed a reputation for his erratic behaviour and wild tantrums – quite the role for LaBeouf, then. Danish director Janus Metz will helm Borg/McEnroe, with Stellan Skarsgard rounding out the preliminary cast as Borg’s coach, Lennart Bergelin.